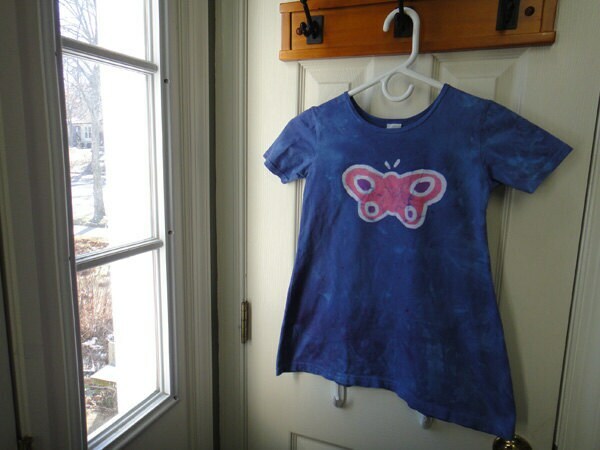 A huge butterfly flutters across the top of this blue girls dress -- it's girly pink with purple accents. The dress itself is bright blue. 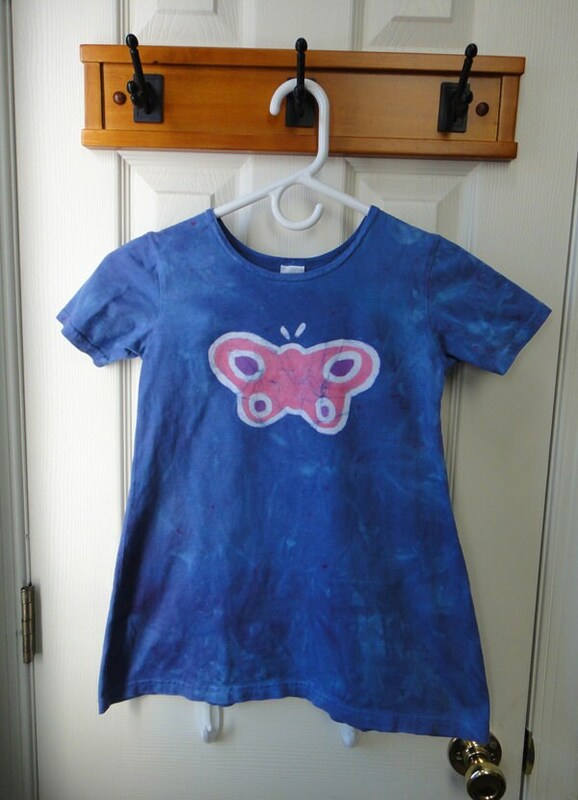 This is a size 6 short-sleeve dress, 100 percent cotton. 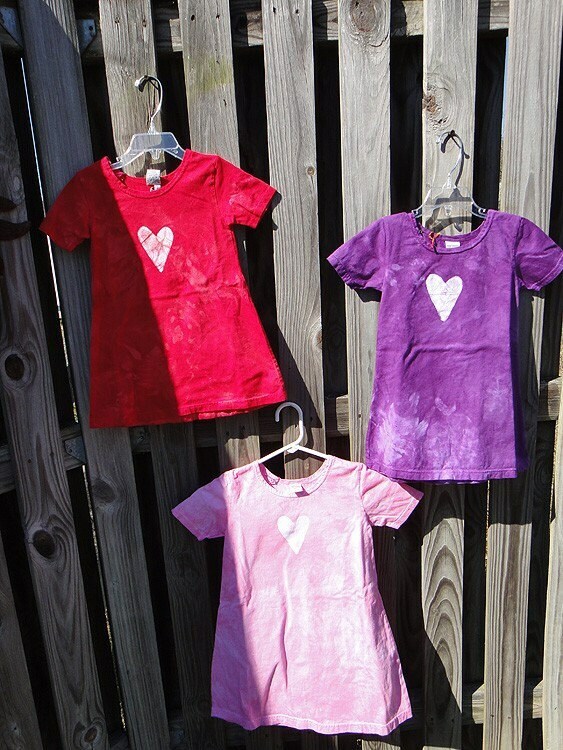 Great for playing outdoors or dressing up for parties, I love these adorable play dresses! 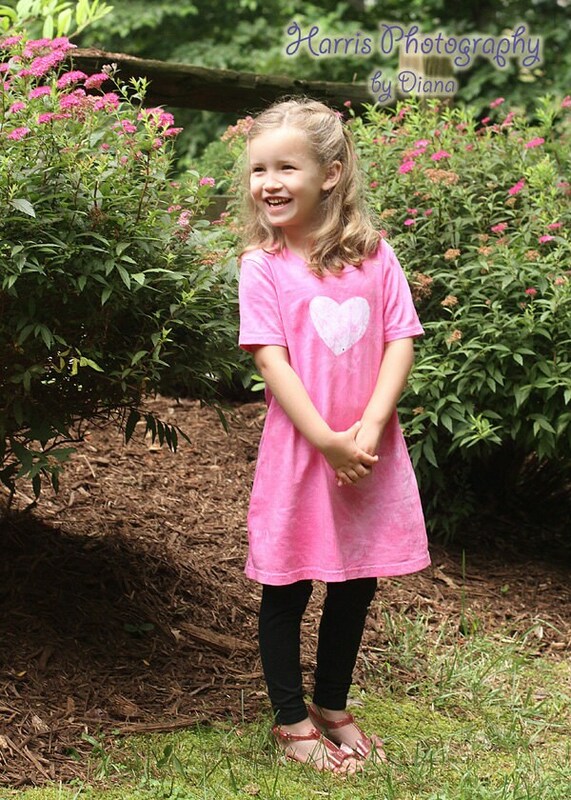 They're 100 percent cotton and have a slight A-line shape; they'd look great alone or with a pair of leggings for chilly summer nights. Not the right size? 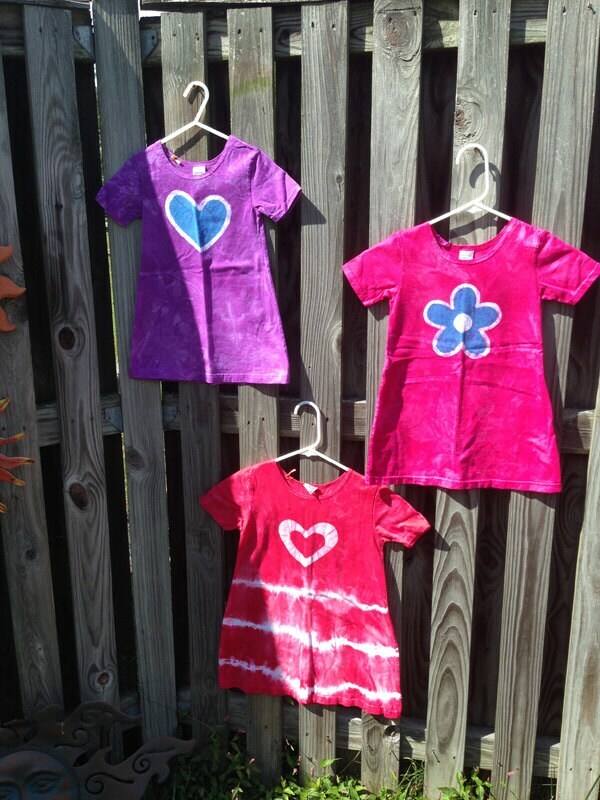 Convo me if you're interested in a custom dress order!